OILRIGHT is more than just an environmentally friendly candle. It is the most ecological way of recycling waste cooking oil, which poses a major threat to the environment. And, if you decide to make the candle yourself, it is also the most fun candle in the world. OILRIGHT is alright! Just 1 litre of oil left from making French fries and flushed down the drain or toilet can contaminate as much as 1000 litres of water. THOUGHTLESSLY DISCARDED WASTE COOKING OIL IS A MAJOR THREAT TO OUR ENVIRONMENT. WHY NOT RECYCLE IT INTO SOMETHING FRAGRANT INSTEAD AND SAVE SOME MONEY ALONG THE WAY? Scented candles made from wax consisting of recycled waste oil are the solution to several environmental and social problems. And if you decide to make the candle yourself, you will also have fun choosing and mixing colours. Every drop of oil disposed of in the sewer system can not only clog the pipes and drain your wallet, but also severely contaminate surface water and groundwater. On the water surface, oil forms an impermeable layer preventing the flow of oxygen, which flora and fauna desperately need. Scented candles that are commonly found on store shelves harm both the environment and your health. Paraffin is a non-renewable resource, as it is obtained from lignite and petroleum products. During combustion, it releases a variety of toxins, and in the event of ingestion it can cause severe lung damage. Made from fresh raw materials such as soy and palm wax, vegetable waxes interfere with the food chain while their transportation from distant places unnecessarily pollutes the environment even further. Palm wax greatly contributes to the excessive exploitation and the destruction of tropical forests. 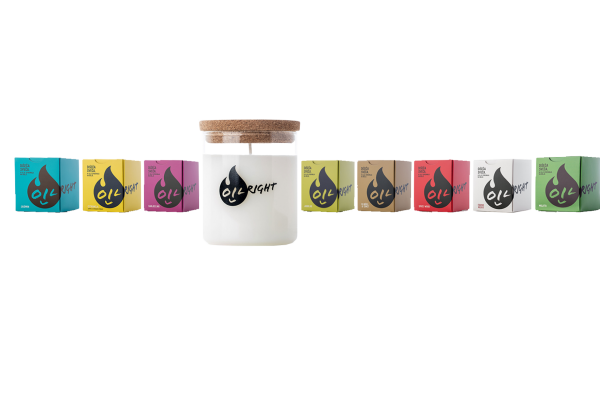 THE OILRIGHT CONCEPT COMBINES THREE INNOVATIVE TYPES OF PRODUCTS, WITH WHICH YOU HELP PRESERVE THE ENVIRONMENT, HAVE FUN AND INDULGE YOUR CREATIVITY. Beautiful candles with eight various scents are made from carefully selected, purified and treated waste oil. They contain top-quality, completely non-toxic laboratory-produced scents, which replace non-organic essential oils. Our candles are completely CO2-neutral and free of dyes, and they burn for as much as 25% longer, and at a lower temperature than paraffin candles. They are made by hand by people with long-term mental health problems, which means that your purchase helps them too. 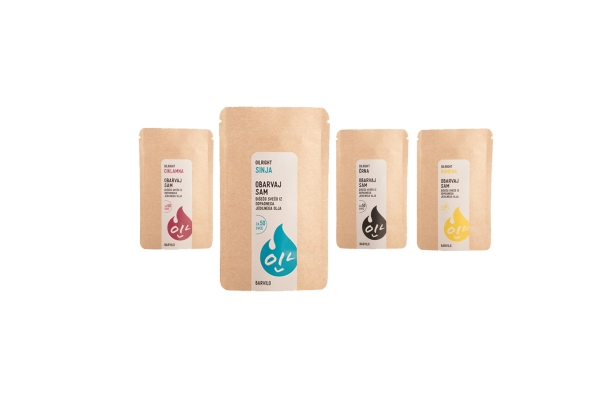 Innovative candle-making kits with eight different scents are the most environmentally friendly and fun way of recycling waste cooking oil, and you can do it right at home. A kit contains everything you need for making candles: powder for making wax with non-toxic scents, cotton wicks, a measuring spoon and detailed instructions. Apart from that, all you need is waste cooking oil and a microwave or a stove. Making candles is extremely simple and it will certainly provide great entertainment for the whole family, in addition to protecting our beautiful nature. You can easily dye your DIY OILRIGHT candle with your favourite colour or even create new shades by mixing different dyes. The dyes, which are proven harmless to health and the environment, are very easy to use, and will bring colour and playfulness into your home. CHECK IT OUT YOURSELF HOW THE MAKING OF A SCENTED CANDLE WITH THE OILRIGHT DO-IT-YOURSELF KIT CAN BE SIMPLE, FAST, SAFE AND ENTERTAINING! All OILRIGHT products are made using the tested and registered Oil2Wax technology. Wax from waste cooking oil has been certified as harmless by independent laboratories. BY USING OILRIGHT PRODUCTS PROPERLY, YOU WILL MAKE YOUR SCENTED CANDLE EVEN FRIENDLIER TO THE ENVIRONMENT AND YOUR HEALTH, AND YOUR EXPERIENCE EVEN BETTER. When lighting the candle for the first time, let it burn until the entire top layer of wax has liquefied. Always place the burning candle on the supplied cover, as this will prevent any damage to the furniture. Use the supplied cover to extinguish the candle. Once the flame has extinguished completely, remove the cap to let the candle get some air. Do not leave candles burning for more than 3 hours at a time. After you have extinguished the candle, let the wax cool back to room temperature before lighting the candle again. Before lighting the candle, be sure to shorten the wick to approximately 0.5 cm using scissors. You can also trim the wick while the candle is burning if you believe that the flame is too high. Before use, always purify waste cooking oil using a coffee filter or a towel. Avoid the use of burnt oil. If the powder for making OILRIGHT wax does not melt in the hot oil, simply heat the mixture a while longer. The mixture must be homogeneous and without lumps. When making a candle, use any non-flammable container. Its diameter should be between 4.5 and 5.5 centimetres. You can use the same container more than once. Let the candle rest for at least 24 hours before using it for the first time. The smell and colour of waste oil you use affect the final quality of the wax. ALL OILRIGHT PRODUCTS ARE MADE BY HAND BY PEOPLE WITH LONG-TERM MENTAL HEALTH PROBLEMS. IN THIS WAY, WE AT BOLJE HELP THEM LIVE A BETTER LIFE. Bolje is a social enterprise established to employ the most vulnerable groups in the labour market. We are not only interested in making profit, but rather give jobs to groups of people who are most difficult to employ, co-finance the Ozara Slovenija association, develop new services and create new jobs for vulnerable groups. We have been changing the world for the better since 2014. We have been changing the world for the better since 2014. We are the only company in Slovenia processing waste cooking oil. We follow the non-profit rule and social entrepreneurship principles. Our idea of using waste oil to make candles has been awarded. We are the initiators of a project to raise public awareness of this issue. We carry out workshops on waste oil recycling for children and young people. 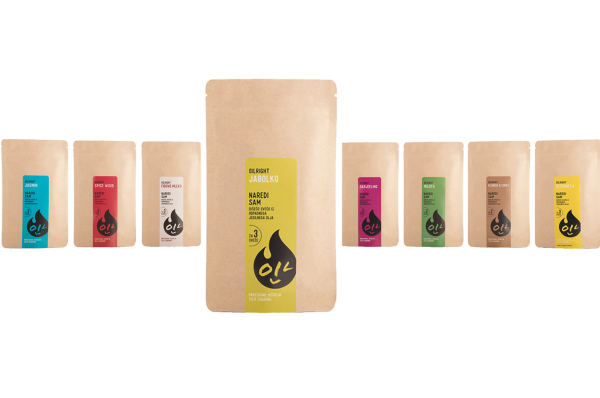 OILRIGHT is a trademark of the BOLJE, social enterprise registered at the European Union Intellectual Property Office. The image of the brand and OILRIGHT products was created by the team at the Iz principa social enterprise. Copyright © 2017 BOLJE d.o.o., so.p.. All rights reserved.